Despite their unwavering popularity, flower crowns are still one of the best ways to let your individuality shine on your wedding day. “I suggest choosing accessories to add to your crown in addition to the florals, such as beading, tiny braids, twisted vines or even unique feathers,” says Jayme Lee of JLM Artistry in Medford, who topped loose waves with a leaf crown for a photo shoot in Ashland. 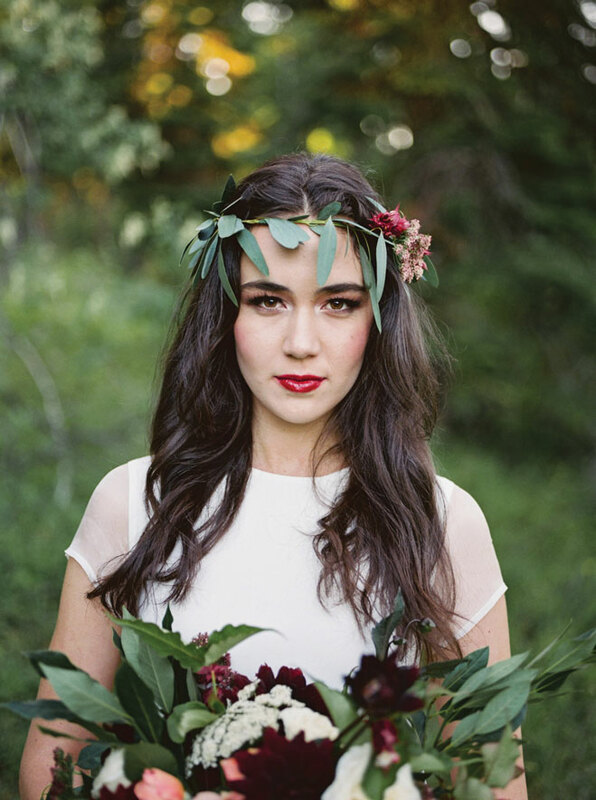 “Sometimes just using a variety of greenery is all it takes to create a one-of-a-kind crown!” Top it off with a pop of color on your lips by mirroring a hue straight from your crown for a cohesive look. 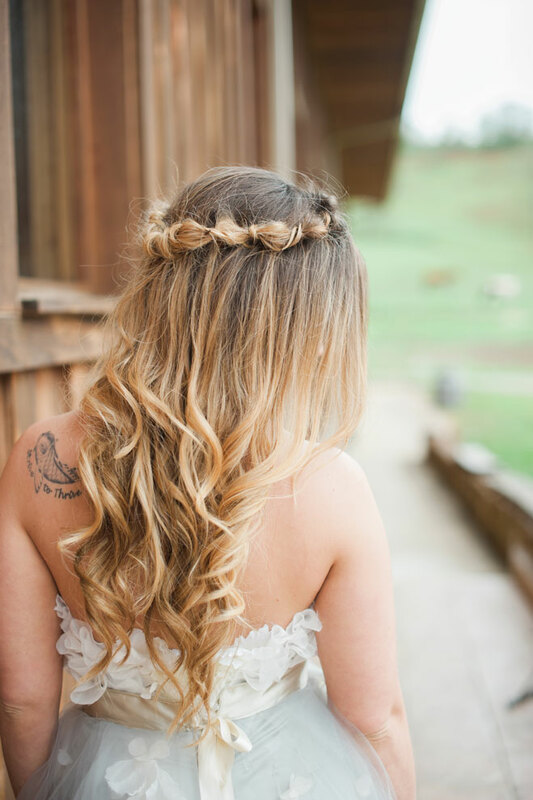 Balancing both edginess and elegance, bride Shannon Berecek nailed it with this funky “faux-hawk” for her wedding to Ryan Paquetteat McMenamins Cornelius Pass Roadhouse in Hillsboro. “Shannon’s updo is polished and seamless, but gives the illusion of a Mohawk when looked at from the side,” says stylist Austie Eckley. But don’t worry, no shaving necessary—just a few twists and lots of bobby pins. Continuing the edgy theme, Eckley finished the look with dramatic, dark eyeshadow and plum lipstick. Even though most of us don’t usually wear a face full of makeup in our everyday lives, it really does photograph well. 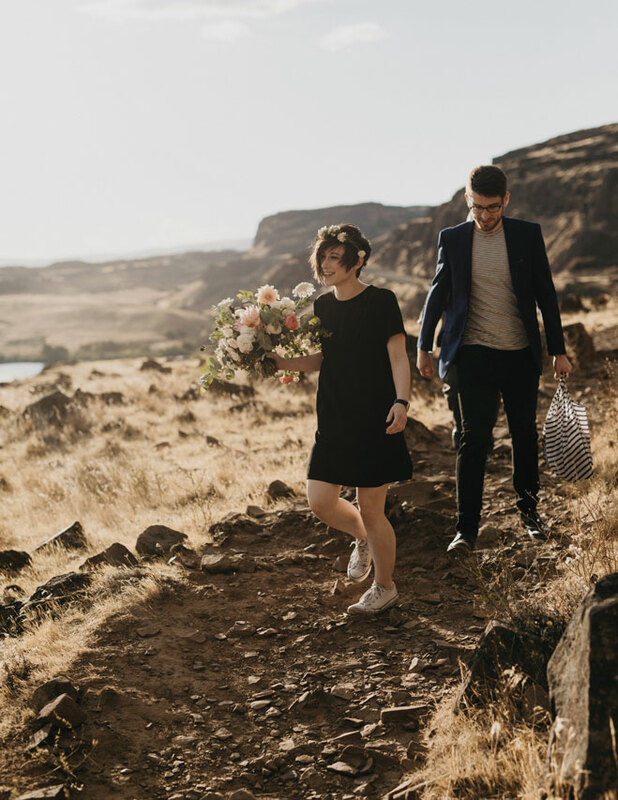 “Camera perspective is different than our natural eye, so even if a tight updo looks great in person, the camera can’t always see what our eye can,” says Portland photographer Kati Hoy of Kati Nicole Photo, who shot Jill Petersen and Aaron Rowland’s wedding at Castaway in Portland. “Choosing either an eye or a lip to flaunt,” says Hoy. “Too much makeup can take away from the bride, so pick one only.” As for hair, Hoy suggests always leaving a little hair down around your face, or loosen it up if you’re going to have it pulled back. 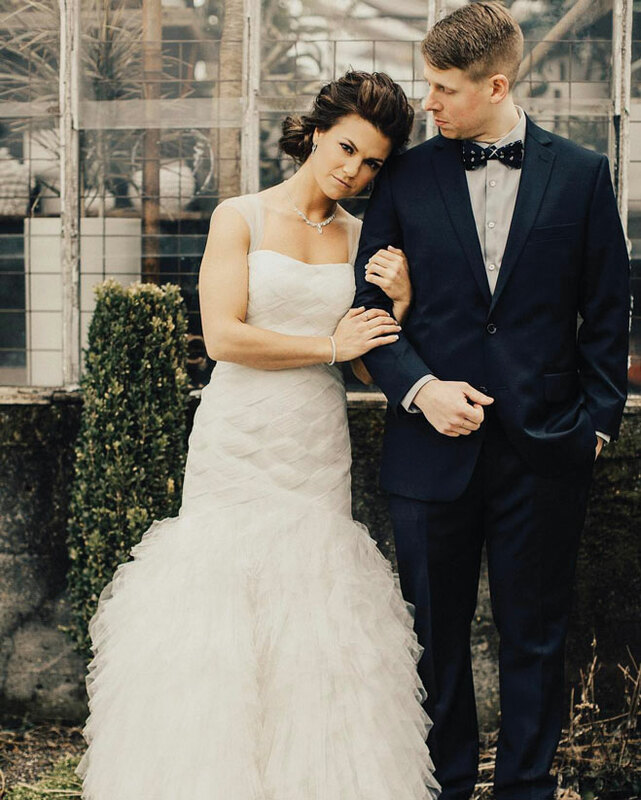 For Emily Maxwell’s wedding to Jeremy Martin at the Elysian Ballroom in Portland, classic beauty meant a look back in time. “Emily’s wedding theme was inspired by vintage glamour, so she wanted a slightly retro feel to her hair and makeup,” says stylist Olivia Hawthorne. 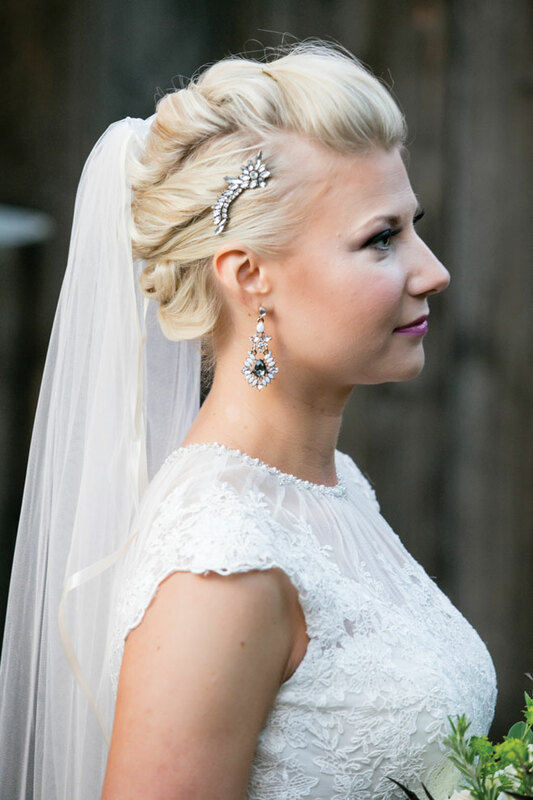 Her hair was sideswept with some volume at the crown and adorned with a vintage Swarovski crystal hairpiece. Hawthorne created a classic makeup look with winged black liner and pale pink lips, but added a modern twist with luminous skin rather than a matte finish. One of the latest beauty trends is, well, no makeup, or at least very minimal makeup. “The natural beauty look is actually my favorite look to do,” says makeup artist Robin Opal of The Nest Salon in Medford whose “barely there” aesthetic is apparent in this photo shoot at Eden Valley Orchards in Medford. “Women are discovering that the over-contoured, over-highlighted and over-filtered looks are just that: not real life.” For a bride who wants to look fresh but timeless or who simply does not wear much makeup as a part of everyday life, she’ll be confident that even with wedding day makeup on, she still looks like herself. 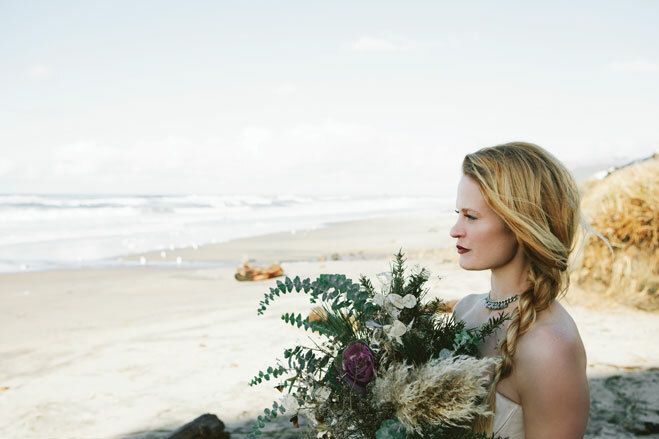 “When I work with a bride, their skin health and prepping is my number-one focus,” says Portland makeup artist Kelli Thomsen who created a healthy look for this photo shoot at Lincoln City. 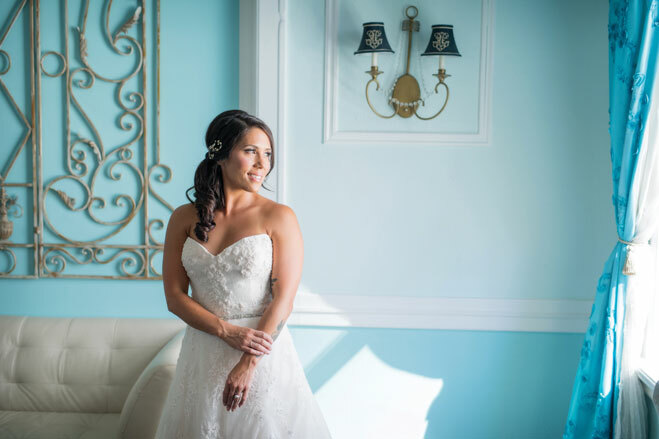 Skin care treatments with a dermatologist or aesthetician can make all the difference leading up to the wedding day. Consider showing off luminous skin with monochromatic makeup, letting eye, lip and cheek color fall within one shade range. “I created the eye and lip look using neutral tones, with touches of peach and gold to add light and give her a playful and youthful look,” says Thomsen.